Throughout 2009 and 2010, Internet companies like Microsoft (s MSFT), Google (s GOOG) and even router giant Cisco (s CSCO) launched experimental software and hardware to help building managers and home owners monitor and control their energy consumption. While Microsoft and Google focused on consumer-facing software, Cisco decided it would build a home-energy dashboard and also sell building-energy-management products. Cisco was selling its home energy controller through utilities rather than to consumers, but it indirectly faced this problem, too. I’m not sure what Cisco found via its pilot projects, but it likely wasn’t overwhelming consumer interest in the dashboard. As I’ve reported before, creating an expensive energy dashboard with a lot of functions and trying to sell it via utilities or consumers hasn’t seemed like a good business model. Both utilities and consumers aren’t really willing to cover the high costs of these. The market for high-end home energy devices is more tied to new home sales, contractors selling renovations and tying devices to solar systems (basically tying the home energy device as an upgrade to a more expensive system). 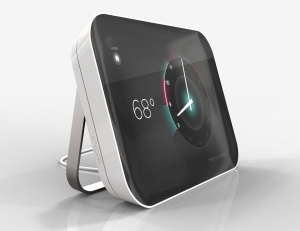 Startup Tendril stopped selling its high-end device, and it shifted its strategy. GE (s GE) did as well. 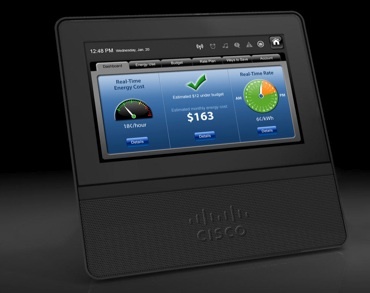 I’m not sure of the price point of Cisco’s energy device, but it looked like it provided a significant amount of function and power. Beyond consumers, utilities are also tricky customers to get used to selling to. As you can see from Silver Spring Network’s S-1, the company has had negative gross margins for years. Part of this stems from the fact that utilities take years to go through the process of a long trial and then a deployment. Utilities are also oftentimes highly regulated, so that can hold up the process, too. Google and Microsoft both struggled to sell to utilities. Cisco has seemed to have more success with smart-grid pilots than with utilities, but it clearly didn’t find selling building-management devices to utilities a solid-enough business. Unlike with Google and Microsoft, Cisco says it will still sell to utilities and the smart-grid market in general. But we’ll see how many utility trials Cisco ends up pursuing. Till the utilities accept microgrids as partners and as a way to handle their peak loads, the energy management software would not have any markets. I founded a company (ecowizz.net) that is providing easy to use solution combining a web site and smart devices for people to understand and act on their energy consumption. We’re currently working with utilities that are really interested to provide an added-value solution for their customers but don’t really know how to realize that and what kind of consequence it could have on their brand if it fails. So, it takes time to implement a first pilot than a second one and finally a big deployment. Finally, we found that the most added-value for the consumer was not the smart devices and how they can measure and shot down appliances but much more the first possibility to receive clear information about their energy consumption, benchmark against other households and also get rewarded if they help utilities by delaying the use of dishwasher or other big consumer in house. At the end, what is now really working and make a win-win deal is the way that utilities and consumers are collaborating together. Today, I’m happy that utilities are now looking to change the way they are providing services to their customers by creating with them this collaborative link. It was one of those ideas where eveyone seay excellen lets do it… and no one picks it up. Why would an average consumer spend the time chasing these numbers? The reward ratio is not not that great and curiosity will only go thus far. The bottom line the energy is cheap and as long it stays that way there will be little interest in such products. Surely there is no need for dashboard devices when it could just as easily be a smartphone or tablet app. The heart of the “dashboard” is really the data senors. Most people don’t have smart meters connected to the Internet yet. a) Would be great for measuring the well being of elderly people living away. by instantly seeing if a kettle/oven has been used. b) Checking if rented out accommodation users are abusing the ‘free’ electric without waiting for the bill. c) Finding appliances that have a high standby usage, eg my gas boiler (furnace) had a huge standby current. Very disappointed that Google gave in so soon. Anyone willing to write me a WordPress plugin to replace it! Well, this is just a special case of the home automation space which enthuses geeks but has no real traction with most people. 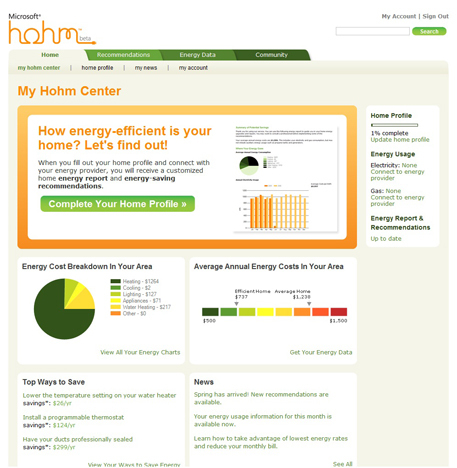 At the end of the day, there’s no reason a regular person would want to spend time monitoring their energy consumption. There’s not an opportunity to save much and the steps you would take to save money are obvious (turn the heat down a bit, turn off lights, run dishwasher when full, etc). I don’t need a real time energy monitor to know about those things. For someone who does want to automate a bit, they can hit up the home improvement store and get a programmable thermostat to make sure the furnace comes on and off at the right time for under $50. At the end of the day, these products all forgot to ask a really basic question – what problem does this solve for the customer? Dashboards by themselves are a tough business. 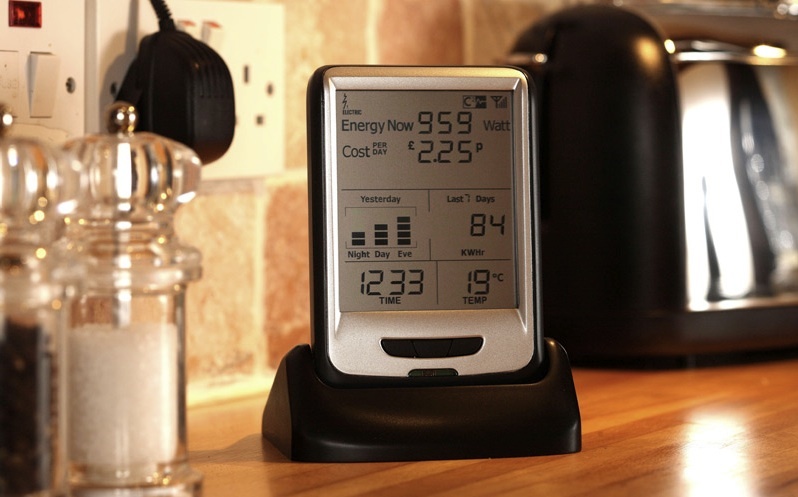 Just making measurements and displaying data isn’t a great idea whether it’s in home energy use, sleeping patterns, physical activity, number of times you drink water, etc. Although you’d think otherwise based on the number of venture investing that’s gone on in those spaces recently. Personally, I really enjoyed using the Google PowerMeter service but I had to buy my own measuring device (TED 5000) device to track the electricity coming into my home. Not many people will jump through the hoops that I did to make it work. I believe Google, and others, would/will have more success if/when consumers are given the option to ask the utility to provide the usage data directly to the third party and remove the extra headache and cost of the measuring device. Great summary of the situation Katie. There really is little need for real time information by consumers as they provide little that can not learn from a 60 second commercial: “when stuff is running it uses power, your furnace/AC uses lots of power, your TV less and a CFL even less.” Often more information is just more noise. While there will always be enthusiasts, much like gear heads always tuning their car’s engine, the vast majority just want the to be comfortable and have the lights to come on. Energy audits will get that message across without installing a bunch of idle technology. What homeowners really want to know is, “do I need to invest in something yet.” EnergyStar does that rather well in promoting energy efficiency investments when replacing products. Home energy audit and utility promotions are outstanding ways to promote home upgrades that homeowners are unaware of. Simply put, the near term opportunity is not with the consumer. It is with the medium-to-large commercial/municipal energy users and in the generation/transmission/distribution infrastructure.